Seattle Sports's Glacier Clear Dry Bags, with their wrap bottom protection, are the most durable clear dry bags available on the market today. Constructed of a rugged, clear, 20 mil. vinyl that makes locating gear and equipment a snap, these bags feature a 3-roll closure, heavy-duty bottom, reinforced side wrap for durability, and a D-ring for lashing to boats, other packs and bikes. 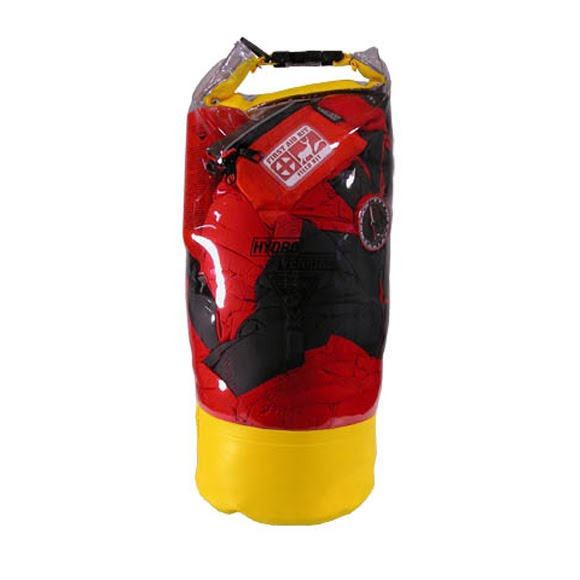 Seattle Sports &apos;s Glacier Clear Dry Bags, with their wrap bottom protection, are the most durable clear dry bags available on the market today. Constructed of a rugged, clear, 20 mil. vinyl that makes locating gear and equipment a snap, these bags feature a 3-roll closure, heavy-duty bottom, reinforced side wrap for durability, and a D-ring for lashing to boats, other packs and bikes. Reinforced side wrap for increased durability. D-ring lash point (for rafts, bikes, backpacks, etc. ).